A whistling melody and stadium chants punctuate Pitbull's surprisingly breezy World Cup song, "We Are One (Ole, Ola)." The official FIFA song, which teams Pit with Jennifer Lopez and Brazilian singer Claudia Leitte, is out today (April 8) in advance of the official FIFA 2014 World Cup Brazil album. The album will be released May 12, exactly a month before the tournament kicks off. Shakira, Ricky Martin, Sergio Mendes, The Isley Brothers and Baha Men are included on the list of Brazilian and international artists who perform on 17 tracks. Acoustic guitar sets up a beachy backdrop for the "We Are One" before Pitbull launches into some easy motivational rhymes to a marching dance beat. J.Lo comes in with a more aggressive run, peppered with a couple words in Portuguese, and Leitte's muscular vocals briefly demonstrates why she is one of Brazil's most popular singers. "Show the world where you're from, show the world we are one," goes the chorus. 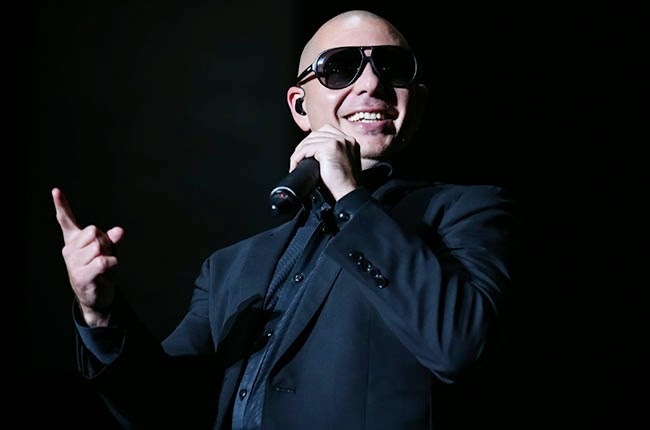 Pitbull, Lopez and Leitte will perform the song at the World Cup opener in Sao Paulo. A video shot in South Florida is set to debut later this month. "One Love, One Rhythm" the World Cup album, released on FIFA partner Sony Music Entertainment's RCA Records, will also include the official anthem, "Dar um Jeito (We Will Find A Way)." Carlos Santana, Avicii and Alexandre Pires are set to perform that theme at the World Cup closing ceremonies in Rio on July 13. Buyers who pre-order the album now on iTunes receive a free download of "We Are One."